A staggering 26 per cent waited more than 10 years before contacting Guide Dogs NSW/ACT for help. To address this finding, Guide Dogs Australia member organisations are launching a new national campaign, Don’t Delay, Seek Help Today, this International White Cane Day on October 15, encouraging people who are experiencing issues with their vision to seek support sooner rather than later. “Vision loss in those aged over 40 increases the risk of falls by two times, the risk of depression by three times and the risk of hip fractures from four to eight times , so it is important people contact us to find out about the services we offer at no cost to reduce their risk,” CEO of Guide Dogs NSW/ACT, Dr Graeme White said. “The survey revealed a range of reasons why people wait including not realising their vision was limiting their mobility until an incident occurred such as a fall, relying on family members to get around and a lack of understanding that a person doesn’t have to be totally blind to receive help,” he said. Concerns about the stigma associated with using a white cane and denial that a person was losing their vision, were two psychological barriers outlined in the survey findings. Legally blind since a young child due to a case of meningitis, Coral Arnold’s story is an illustration of what can happen as a result of these perceptions, and a need to break them down. Provided with an identification cane to signal to the public she was vision impaired when she was 16, Coral did not request mobility training in how to move around safely, but this was not her only barrier. “Even with the ID cane people used to say to me, ‘put that away and be normal.’ They’d worry about the stigma attached to having a cane, and they didn’t want others to treat me differently,” she said. “The instructor also taught me how to use the Guide Dogs NSW/ACT GPS app on my phone, so I can locate where I am at any time without assistance from other people,” she said. By the stage Coral came to Guide Dogs NSW/ACT she had come to terms with her vision loss – something which can take some time according to Guide Dogs NSW/ACT Psychologist, Dr Desirée Gallimore. For survey respondents who waited more than 10 years to seek help, working their way through this process was the main reason they resisted support. It is at this point that assistance from Guide Dogs can mean a world of difference. 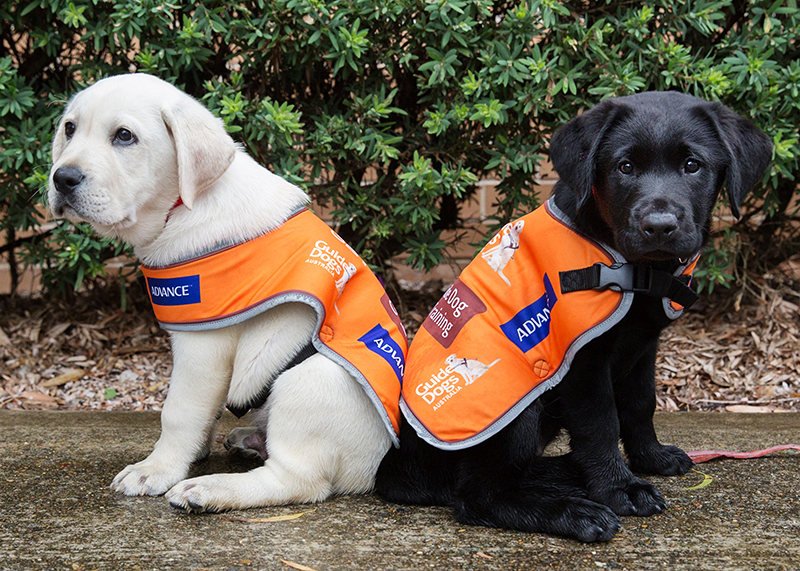 “While training Guide Dogs is an important part of our work, our most common program is showing people with vision impairment how to safely move through different environments, using a range of mobility aids such as the long cane and electronic devices,” Dr White said. “Each year our highly trained specialists work with people of all ages to help them achieve their mobility goals. Programs are tailored to meet the lifestyle needs of each individual, and most training is delivered locally, in the person’s home, community, school or work environment, at no cost,” he said. What is International White Cane Day? International White Cane Day is held on October 15 each year to raise awareness of the importance of the white cane and how it can aid mobility and independence for a person with vision loss. This year marks 95 years since the white cane was invented by an Englishman who lost his sight in an accident and painted his black cane white to make it more visible to others.